Did this back in February, but it’s been packed away, since then. 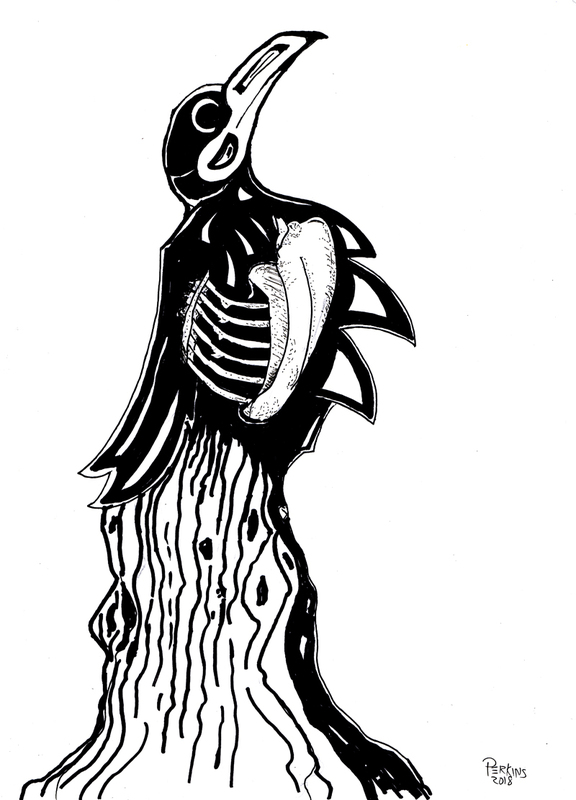 A Raven totem on a dead, but standing tree, basically it was symbolizing my (still) holey spine, and ribs, with the Raven as a symbol of luck and revival. If you subscribed to my newsletter you would have seen this already. You can do that by clicking here or use the form on the right side of the page.